TMJ is the abbreviation for temporomandibular joint. Anatomically, it refers to an area of the cranium where the jaw, or the mandible, contacts and articulates with the temporal bone. The temporal bone is the area of the skull where the ear resides. When these bones are misaligned and not articulating properly and the surrounding tissue of the TMJ is stressed, the TMJ Mechanism is out of balance and cannot function optimally. This condition is known as Temporomandibular Dysfunction, or TMD. TMD shows up in many different shapes and sizes and cases differ in levels of severity. Horses with TMD will clearly show low levels of performance, improper gaits, uneven wear of the teeth, possible head shaking, signs of headaches, cribbing and/or various behavior problems. In some cases, even a slight protrusion in the lower jaw can be seen - the lower incisors of the mandible come behind the upper incisors of the maxilla. Any horse that has TMD will have some level of difficulty in performance. 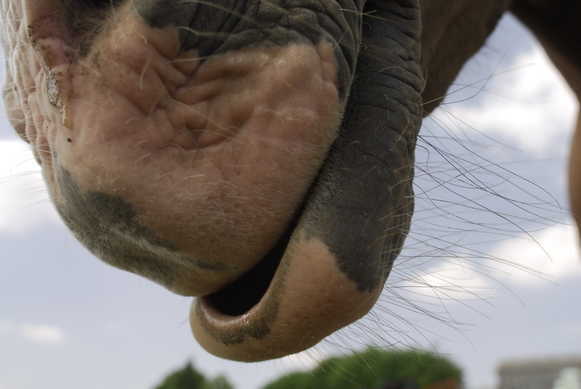 - Does your horse’s tongue rest between his upper teeth and lower teeth? - Does your horse drop large amounts of food? - Does he pass whole food in his manure? - Can you hear a popping and/or clicking while your horse chews? - Does your horse have difficulty flexing at the poll? - Does your horse chew more on one side compared to the other? - How does your horse hold his neck and move in leads? - How are your horses’ teeth wearing? You can also gently palpate the muscles on and around the mandible. Notice the quality of the muscles. Do they feel soft or do they feel like a rock? Does the muscle invite you in or push you out? If you think your horse may be suffering from TMD bodywork can be a great way to treat and use as preventative care. It is beneficial to first address and correct any existing 'mechanical' contributors such as hoof trimming, saddle fit, bit use, feeding practices, and dental issues. Without addressing these issues first, the results of bodywork will be limited. In addition, it is absolutely necessary to address the soft tissue and help bring balance back to the body through massage, acupuncture, myofascial release and craniosacral work, which specifically address the Stomatognathic system. ​Remember to always consult with your veterinarian, equine dentist, and other qualified professionals who understand your horse, the TMJ, and TMD conditions. If you have your first equine bodywork session scheduled for your horse, you may have questions about the process. 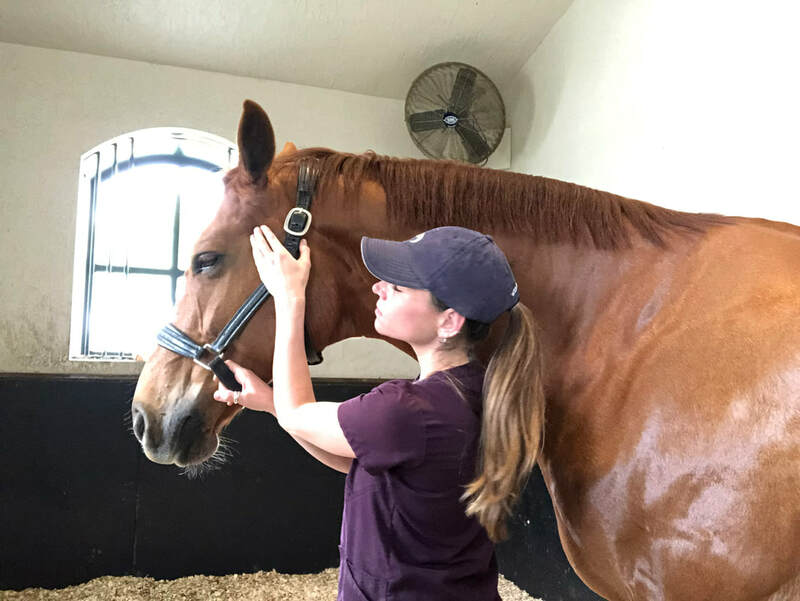 Here are my tips for making any bodywork session successful, as well as answers to the three questions I’m asked most by clients about equine massage therapy. How do I create the best environment for my horse’s massage therapy session? Just like with a human massage at the spa, you want the environment to be as calm and comfortable as possible. Try to find an out-of the-way part of the stable for the session with as few distractions as possible. If your horse’s stall isn’t in a high-traffic area, that may work best. If your horse can be loose in the stall, that’s even better. However, if your horse is nervous or might get into mischief, having someone hold it on a lead rope is a good alternative. Ideally, you don’t want your horse in cross ties because it limits flexibility of the neck and makes it difficult for the horse to relax. You can ask your equine massage therapist what they prefer, but typically you do not want your horse getting treats or eating during the bodywork session. This alllows the horse to “connect” with the therapist and focus on the session. Your horse may need a drink during the massage, so be sure to have fresh water nearby. Also, some horses need to urinate or manure as their circulation is stimulated, so plan for that too. Be sure your horse is clean and dry before the bodyworker arrives. Removing dirt and water allows the therapist to get down to the skin without interference, and it makes the massage more comfortable for your horse. Untack the horse, except for a halter, and if flies are a problem, use a fly repellent product or set up a fan to prevent twitching, tail swishing, and stomping. Fly masks and sheets should be removed for the massage session. 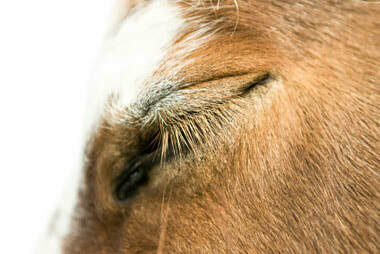 Some owners and therapists like to use essential oils to help quiet a horse during massage. Unless your horse is allergic or doesn’t like it, lavender is a calming scent that I use in most of my session. 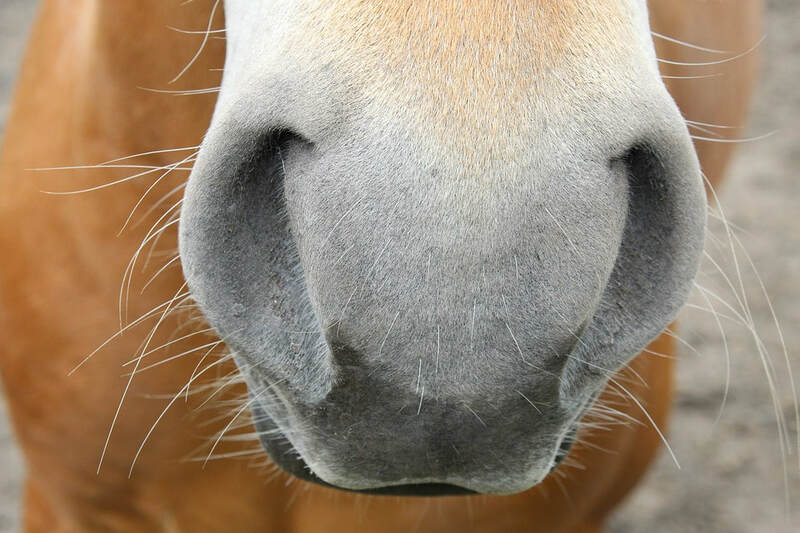 Rubbing a little on the hands and holding them cupped under the horse’s nostrils may be all you need to elicit a deep sigh and dropped head. What information does my equine massage therapist need to know? Be sure to tell your equine bodyworker about anything that might affect their safety, such as if your horse doesn’t like to have a particular body part touched or if it has a history of kicking or biting. Your equine massage therapist will do their own assessment on the horse. I like to watch the horse both untacked and under saddle, preferably in person, although sometimes show videos are helpful for issues that come up primarily in competition or when the horse might be anxious. I also offer ride evaluations, where I work the horse under saddle to see how it feels to me. Sometimes owners get so used to their horse’s anatomy and quirks that they don’t even notice imbalances or gait inconsistencies. Most equine massage therapists will also do a quick hands-on full-body check of the horse to see how the muscle tone feels, to look for knots or spasms, and to see if the horse flinches or reacts in any way. How much time should I allow for the massage? Massage sessions vary in length depending on the horse’s size, needs and attention span. A pony generally doesn’t take as long as a draft horse simply because of the amount of area that must be covered. If stretching is being added, that will add a few more minutes to the session. A horse with injuries or very tight muscles usually takes a bit longer to massage. Also, plan on your first session or two taking a little longer, since your therapist needs to get to know the horse and vice versa. Horses that are completely new to massage may need a slower approach until they get used to it. Your massage therapist will tell you specifically, but budget between 45 to 90 minutes for the session itself. Make sure to allow time on either end for the above mentioned preparation and for unwinding post-massage. Your horse will probably want to drink, urinate, and manure after the massage, sometimes more so than normal because of the stimulatory effects of massage on the horse’s blood flow. The equine massage therapist may also recommend calmly walking the horse for a few minutes after a session to keep the circulation enhanced a little longer. If it’s cold outside, it’s a good idea to blanket your horse to keep it warm and prolong the effects of the massage. Your horse will want to relax after the massage, just like you would, so don’t schedule a training session immediately afterwards. It’s best if you can give your horse the rest of the day off after a massage. Some horses can be a little stiff a day or so after their first few massages. But the more your horse receives equine massage therapy, the more it will get used to it. Be careful, though; your horse may want a spa day every day once it realizes how good it feels from a nice session! Once you’ve decided your horse needs massage sessions, you might say, “Now what?” How do you decide who to choose to provide this service? 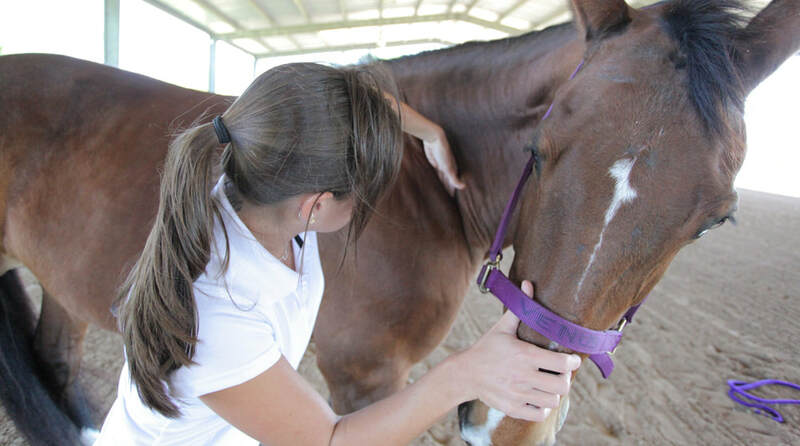 Here are some tips for selecting the right equine massage therapist for you and your horse. Probably the best to find an equine massage therapist is through word of mouth. Ask around your barn, consult your trainer, or call some of the top stables or the racetrack in your area to see who they use. Ideally you want to find someone who knows your breed and riding discipline, but most seasoned practitioners will have experience with a wide range of both. 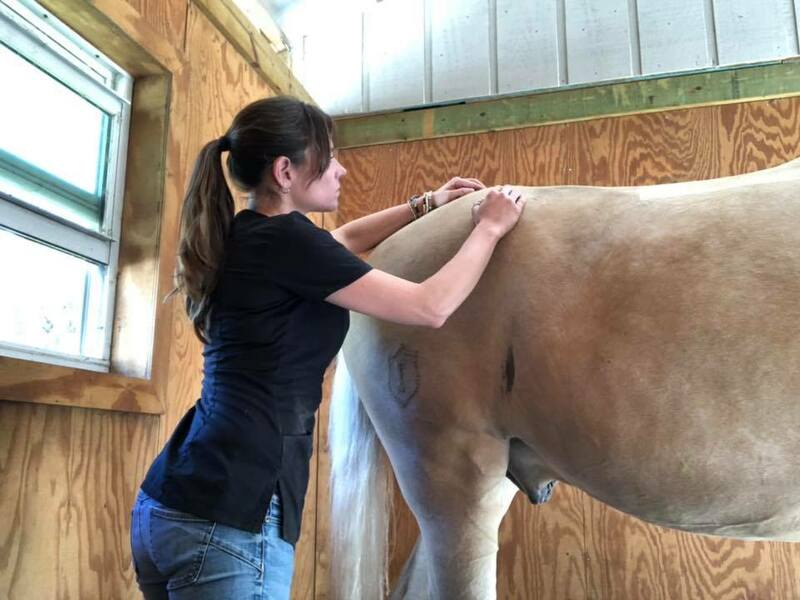 You want to find a therapist who has completed a formal training program in equine massage because this isn’t something one can learn on one’s own. Ask any prospective therapist where they studied, were they certified or accredited in some way, and do they still perform that particular type of massage and what continuing education they have completed. 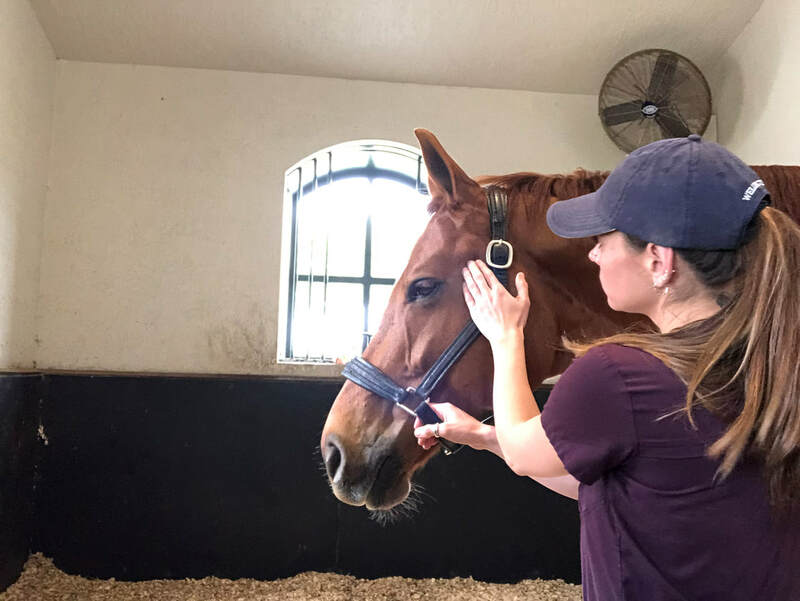 Styles of equine massage and bodywork vary greatly, just like with humans, and you may feel one type is better than another for your horse’s physical and emotional needs. Therefore, you also want to ask about what type of massage/bodywork the therapist performs. Do they do myofascial release working on key points on the horse’s body, or do they use more of a Swedish massage technique that vigorously rubs all the major superficial muscles? Do they incorporate stretching into massage sessions? Some therapists combine techniques they have learned from several schools or add things they pick up in continuing education (another thing to ask about). 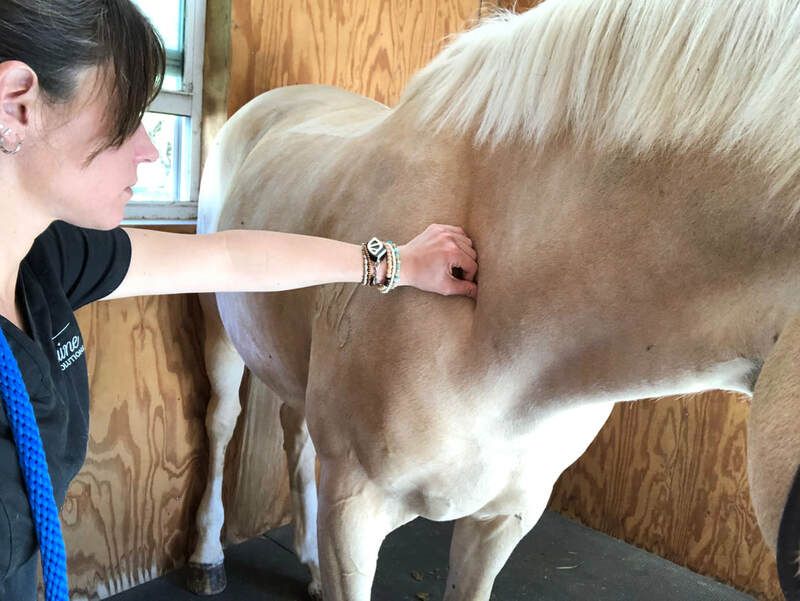 Ideally, you want an experienced massage therapist, but it’s perfectly okay to select one right out of school too, provided they have had lots of hands-on practice with horses, either as part of a formal program or as part of their own self-study. 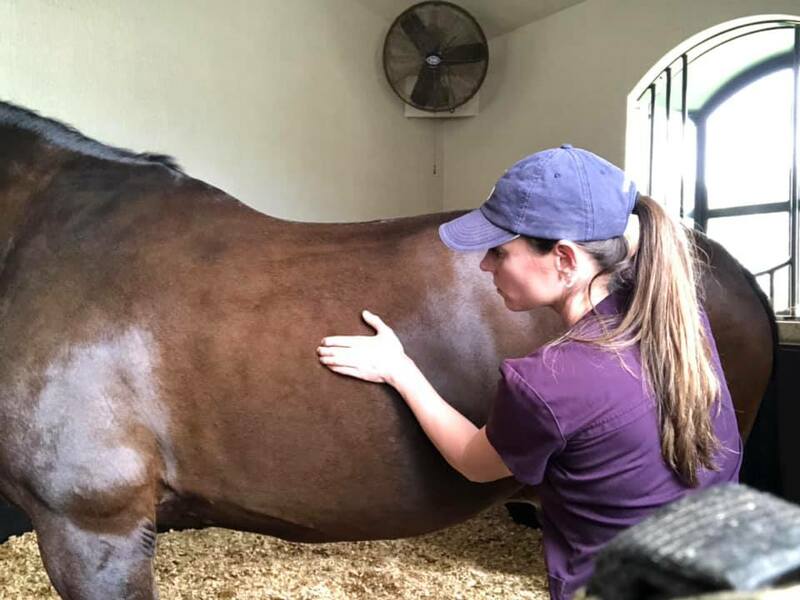 Ask your prospective equine massage therapist about the types of cases they’ve treated, to see if they have knowledge of your horse’s particular problem or training needs. Your horse’s workout as a jumper is going to differ radically from a dressage or driving horse. It’s also worth asking about the therapist’s general experience with equines, such as riding, training, or grooming. What does each session entail (e.g., assessment, massage, stretch, etc.)? Where is the best place to have the horse worked on, and how can you set up your appointment for maximum success (e.g., have the horse clean and dry, don’t have the horse in cross ties, schedule the appointment for a quiet time at the barn, etc.)? Does the therapist have references you can call? How much is each massage appointment? Does the equine massage therapist offer any related services, like massage for riders or fitness clinics? If you like what you hear, schedule a trial session and see how it goes. With any luck, you’ll have met your horse’s new best friend and will want to schedule regular appointments from there on. Your normally docile and eager-to-please gelding seems out of sorts and reluctant to train. Something feels off to you, but you can’t put your finger on it, so you call out the vet. After a thorough examination, your veterinarian can’t find anything wrong with your horse. “Get him a massage,” she says, as she packs up the truck. Wise words from that equine doc. 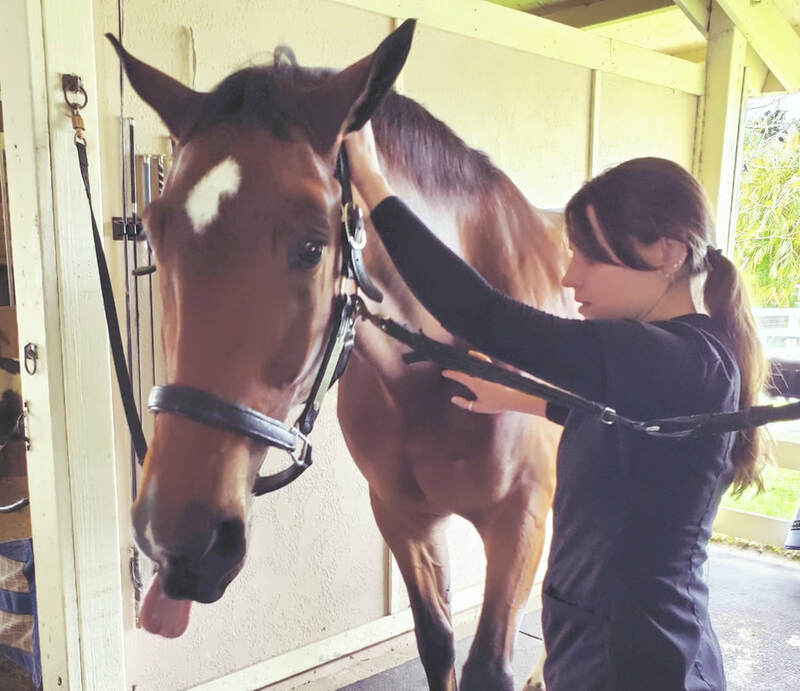 While it’s always good to have a professional check over your horse if it’s behaving abnormally, there are numerous situations that can be improved by equine massage therapy. If your horse doesn’t seem quite right and your vet has ruled out any serious causes, a massage may be just the remedy. Here are some classic scenarios where a massage may be indicated. Your horse may have some stiffness or muscle pain that is causing it to act in an unusual manner. Even a little bump (and we know horses do stupid things when we’re not looking) can start a pain feedback loop that results in more stiffness and guarding. If the usual amount of exercise winds your horse easily, or if your horse is just dragging, it could be due to a number of reasons. But if you know it’s not diet or illness, a massage may be a good pick-me-up for your horse. 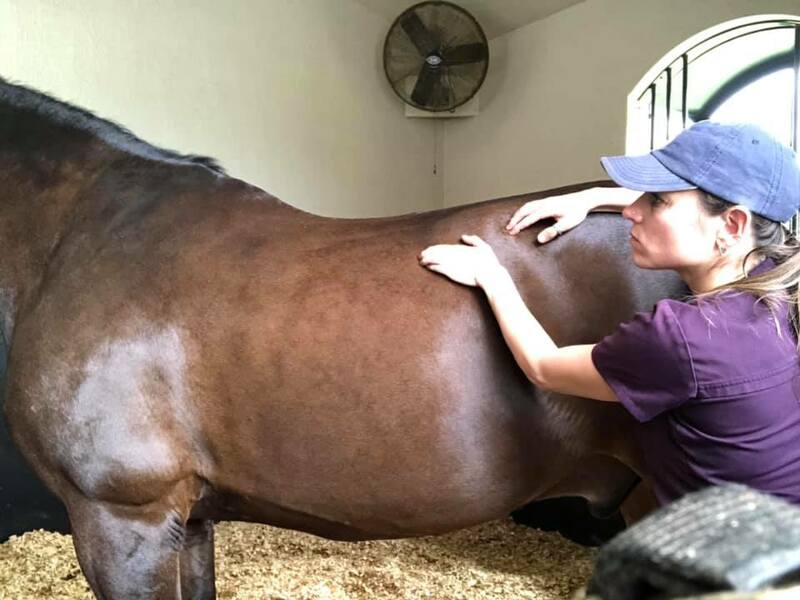 In addition to relieving body pain, equine massage stimulates circulation and energizes the horse, often the next day or the day after. It’s easy to get in the habit of training more to one side than the other. 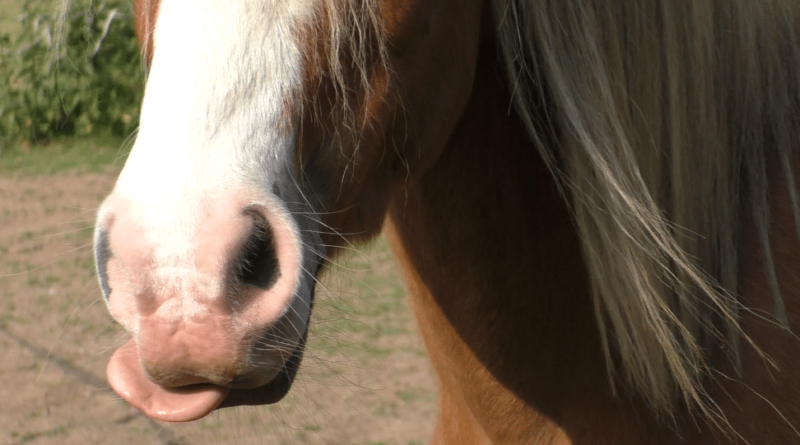 Did you know horses have left or right preferences just like humans do? But if you continually favor one side when running through your exercises, your horse can become imbalanced. Likewise, certain conformational discrepancies can cause unevenness in a horse. A massage can help rebalance the horse by eliminating one-sided stiffness and by improving suppleness on the horse’s “bad” side. In addition to being lethargic, your horse may seem sad or crabby--definitely a sign something is going on. If there are no known causes for your horse’s mood, a massage can perk up the horse. Equine massage encourages the production of endorphins, chemicals the horse produces in its own body to relieve pain and boost mood. If your horse has chronic health problems that may cause pain, decreased mobility, or imbalance, a regular massage is a must. Recurrent bouts of laminitis, navicular disease, and arthritis, for example, can all benefit from massage. As long as your veterinarian allows it, equine massage is almost always ideal for horses recovering from illness, including colic, or surgery. Because it stimulates the circulatory system, massage helps speed healing cells to areas of injury. And as mentioned above, massage also treats pain and stiffness. For horses that are confined to stall rest, equine bodywork may also help maintain muscle tone and let the horse relax to continue healing. Your horse doesn’t have to have anything wrong with it to warrant a regular massage session. Just like human athletes, horses that are training heavily and competing regularly do well with frequent massages. Equine massage helps work out muscle spasms, improves range of motion, and facilitates the removal of waste products, like lactic acid, from muscle tissue. Remember: your horse is an athlete too! Have you taken in a rescue or just brought home a horse you purchased? A massage can be a great way to help your new arrival settle in. It allows your horse to associate pleasure with its current surroundings, and it will work out any kinks from trailer travel too. Click on contact us if would like set up a consultation to see if your equine partner needs a bodywork session.